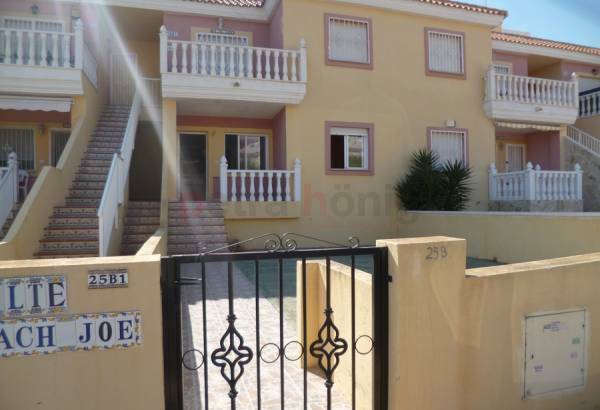 2 Bedroom apartment in Loma Golf in Villamartin. This property benefits from 45sqm living área divided in 2 bedrooms, 1 bathroom, open style kitchen and living,- dining área. Furthermore there are 2 small terraces, each aprox. 21sqm. It also benefits from a communal pool and green zones. 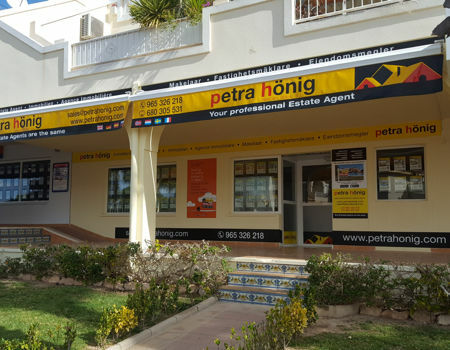 If you are already willing to organize your next holiday on the Costa Blanca South, Petra Hönig invites you to enjoy this area forever. Our resale apartments in Villamartin - Orihuela Costa offer you the possibility of discovering all the qualities of the south of the province of Alicante, 365 days a year. For this, we offer you a varied range of second hand apartments in Villamartin, an urban development located in Orihuela Costa (Alicante). We have around 20 resale homes so you can fulfill your dream (and that of your family). The most surprising thing about our resale properties in Costa Blanca is that our clients can have access to various qualities offered by the home, at an incredible price. Anyway, when you come to meet our real estate agents, we will worry about offering you the best resale apartments, based on your needs and priorities. What can you enjoy in our resale apartments in Villamartin - Orihuela Costa? 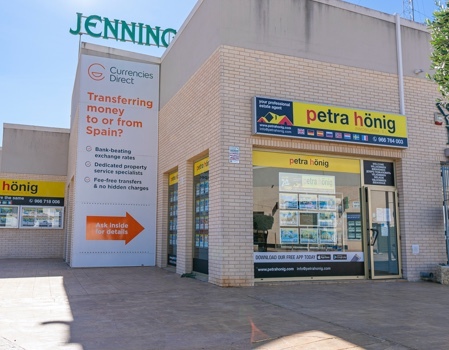 Always remembering the requests of the client, with the resale apartments in Villamartin - Orihuela Costa that Petra Hönig offers you, you can benefit from areas that you had always wanted your home to see. For example, it is well known the incredible climate that makes in Orihuela Costa. To fight and enjoy the good temperatures at the same time, many of our second hand apartments in Villamartin have modern freshwater pools. Another feature offered by our properties are their sea views. Some of our apartments offer beautiful terraces to relax enjoy spectacular views of the Mediterranean coast. If you want to opt for one of our wonderful resale apartments in Villamartin - Orihuela Costa, you need more information, our real estate agency provides you with all the information. You can solve your doubts, coming to our office in Villamartin Plaza, Av. 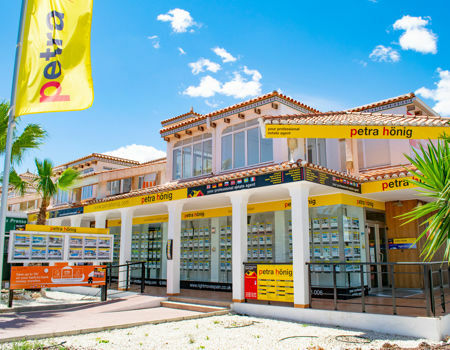 De las Brisas 6, Local 26 03189 Orihuela. Our customer service phone number is (+34) 966 764 003. 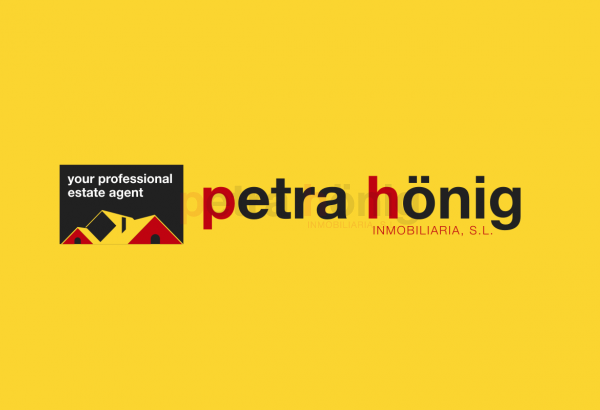 For more contact forms, send us an email to info@petrahonig.com.